In the small town of Blue Gap, Arizona on the Navajo 'rez', live three brothers: James, Jessie, and Jodie. These brothers combine their talents to form the greatest band, (because it's the only one), Blue Gap has ever known! 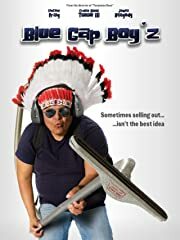 By chance, they hear of an exciting opportunity to audition for a German music producer who looks to find and promote a Native American band in Europe the following summer.